This charity event is in loving memory of Ribbons Magic who was called home on August 2, 2013. She was loved by many and is truly missed. Her SL venue was a great place to enjoy live music, so from 2-7 PM live musicians will be on stage (see list below for artists and times). 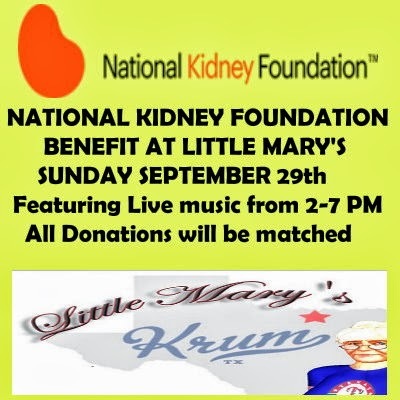 The National Kidney Foundation was a charity close to her heart and offers guidance and counseling for those with kidney related health issues. All donations made during this event will be matched and a final donation will be made to the National Kidney Foundation. Please join the Little Mary's family as we welcome some of Ribbon's favorite artists and close friends to celebrate the wonderful memories of Ribbons.